Earthadelic had the pleasure of installing a total yard landscape and pool area on a large property in the Fox Den subdivision. 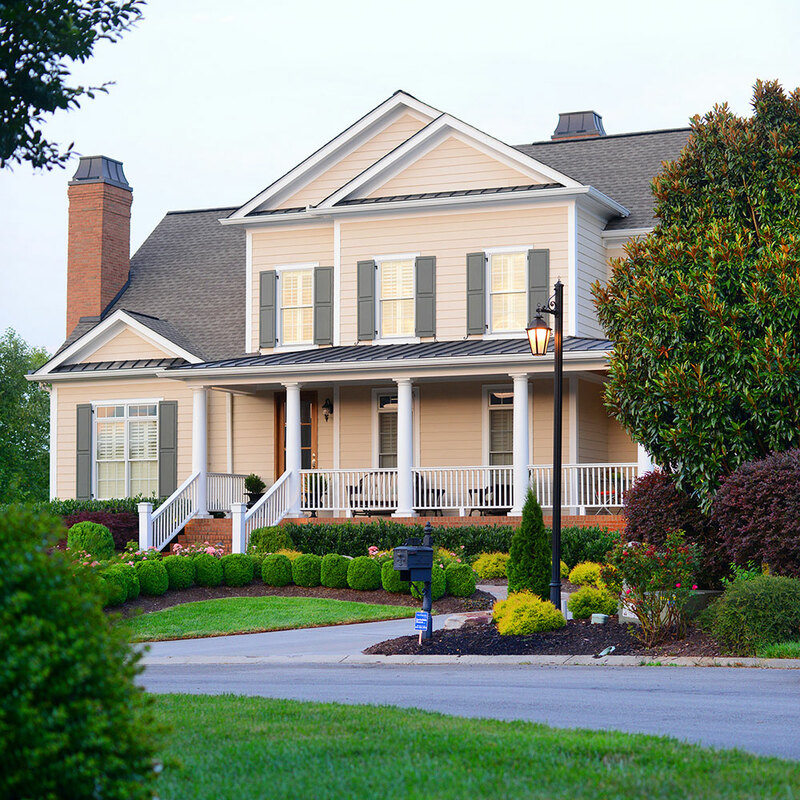 The formal front gardens are anchored with boxwoods and roses, highlighted at night by landscape lighting. The backyard includes a sodded dog run surrounded by privacy trees, and also a gated pool area. 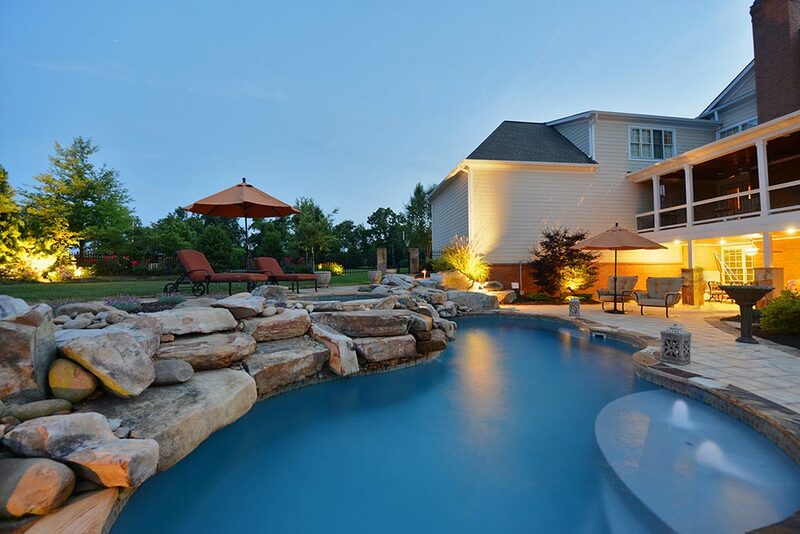 Earthadelic provided stone pool coping and many other masonry services—including a fire pit—as well as deck and weight room construction/renovation services. 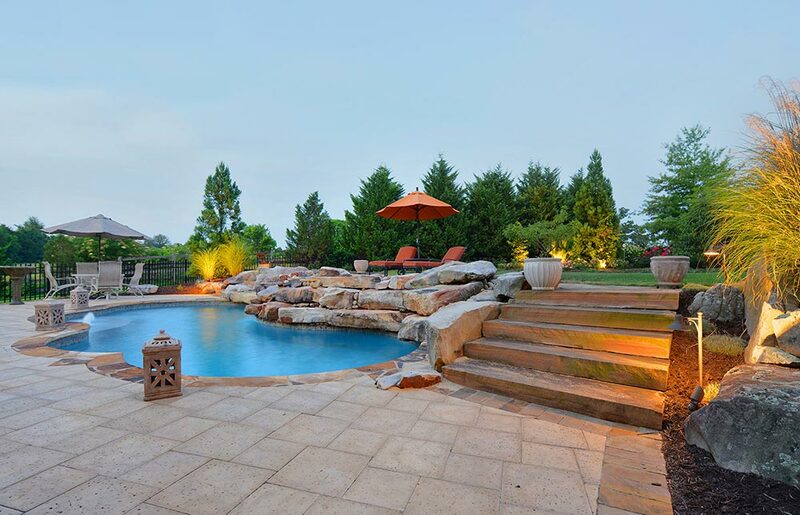 Native Tennessee sandstone was used throughout the pool patio area. The buff colored stone was also used as the pool coping material. Eathadelic's landscape design team came up with an outdoor lighting plan that showed off the depth of the yard, with a layered approach to lighing that entertains the eye in all directions. 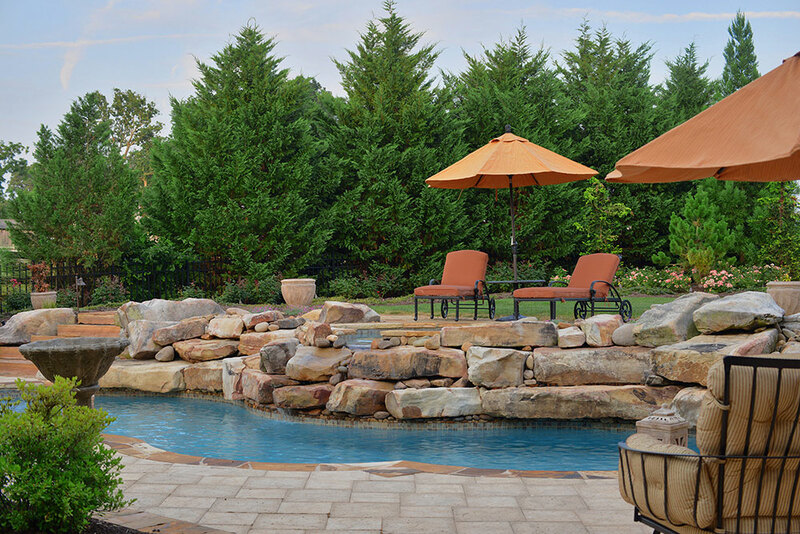 The swimming pool features numerous stacked boulders, creating a more natural look and a more natural feel for swimmers. The added elevation also created a sun tanning deck looking down on the water. Jumping into the pool from the boulders is also a hit! Earthadelic's landscape installation crews installed a classic garden in the front yard. Emerald green arborvitae, drift rose, and burgundy glow ajuga account for the majority of the plants. Earthadelic also provides comprehensive landscape renewal services to this client. 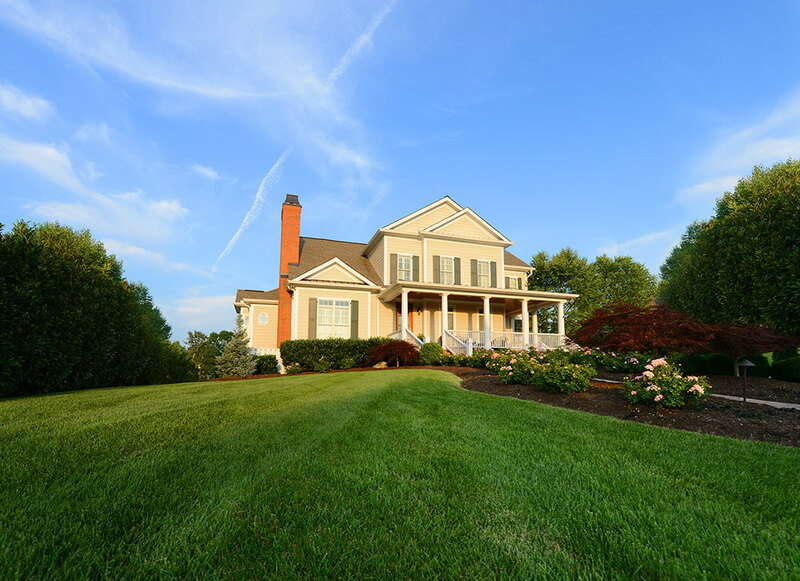 After investing in the backyard of their dreams, Earthadelic is right there to help maintain the lawn and garden bed, as well as provide seasonal maintenance on an as-needed basis. Earthadelic offers many different fertilization schedules based on your lawn's specific needs. 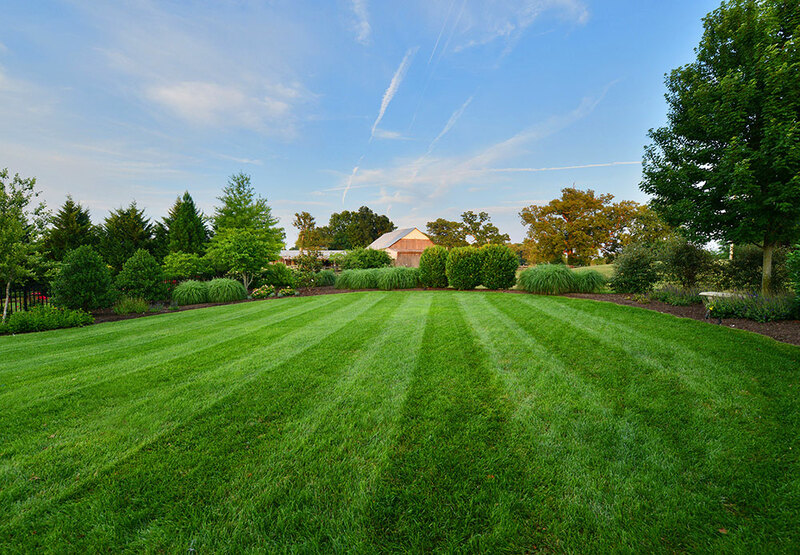 The variety of grass and the microclimate of your yard all have an effect on the way fertilizers interact with your yard. Earthadelic will help your lawn develop into a lush, green bed of grass. 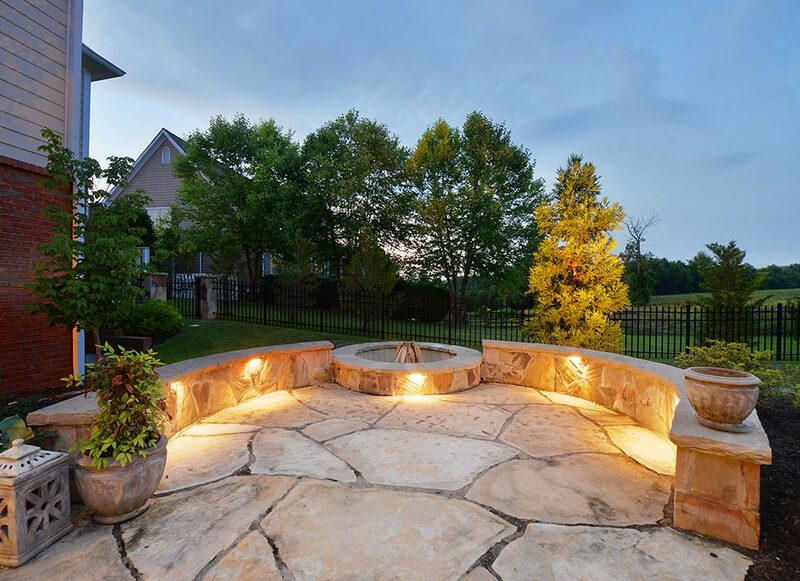 Earthadelic's design team planned a natural stone fire pit in the backyard. The round fire pit is a natural gathering place and is the perfect venue for roasting smores or even cooking spitfire style over an open flame. No landscape is complete until those finishing touches are put into place. 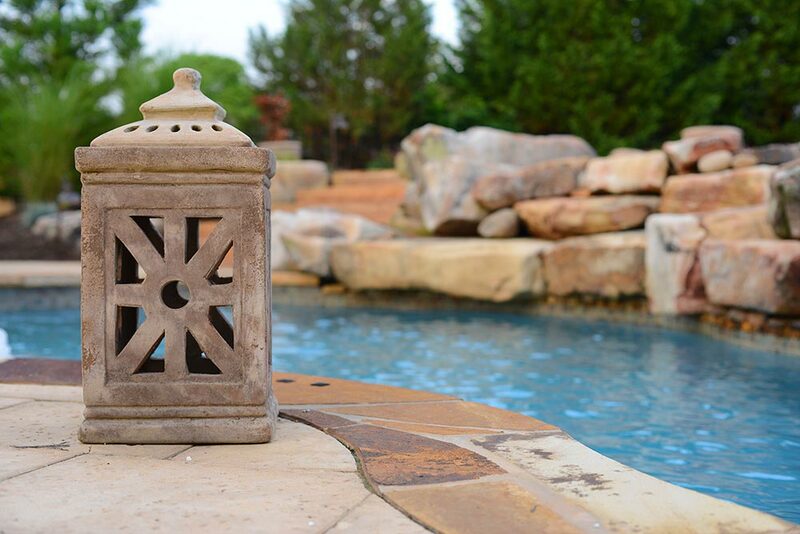 From the glow of lanterns to the perfect poolside chairs, enhance your backyard with the addition of flower pots, landscape furniture, and other design accessories. Large polished stone stairs were installed to accommodate the change in elevation and create a natural flow around the pool area. 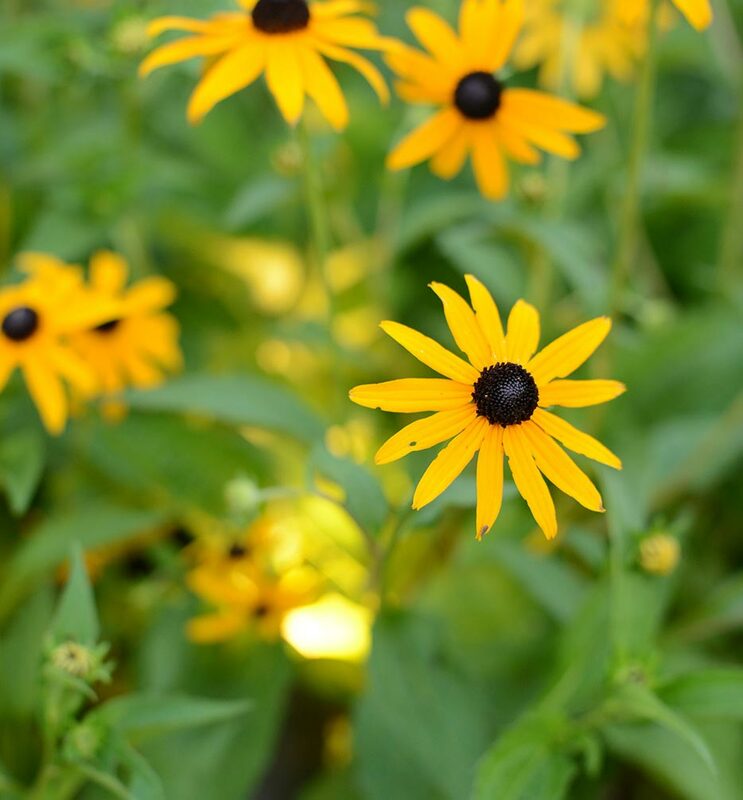 Many East Tennessee native plants were used in the design, like these black-eyed susan (Rudbeckia hirta). The overall transformation was dramatic. What was once a lonely, kidney-shaped pool surrounded by cracked concrete has been transformed into a backyard oasis that the homeowners can now enjoy with friends and family.